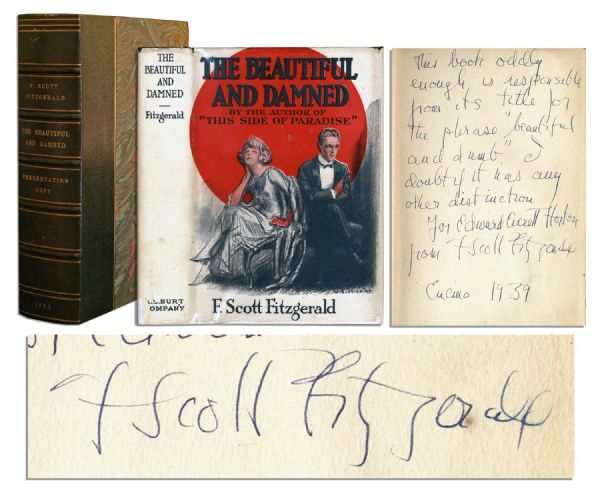 Signed and inscribed first edition, third printing of F. Scott Fitzgerald's ''The Beautiful and Damned.'' New York: Charles Scribner's Sons: 1922. Fitzgerald's second novel paints a vivid portrait of the Eastern elite during the Jazz Age in America. 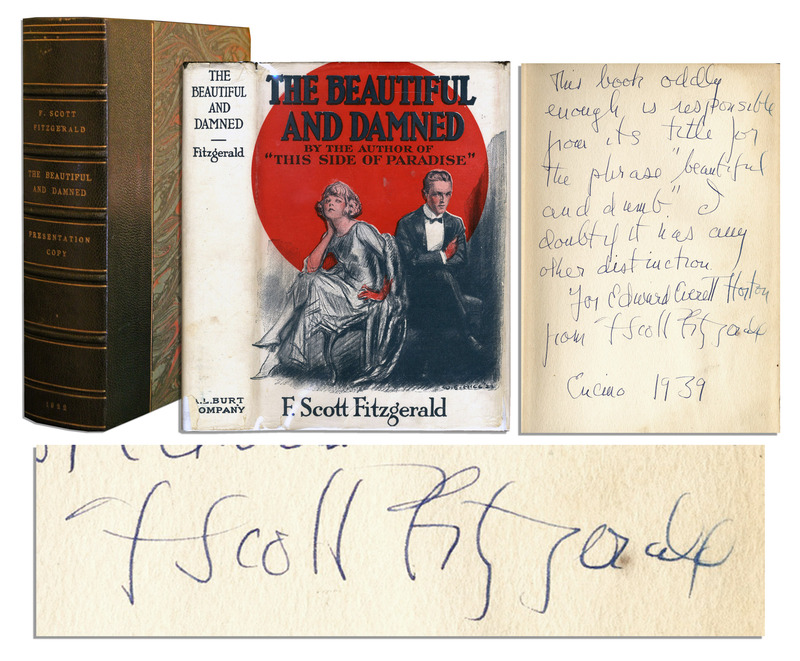 Copy is inscribed by Fitzgerald on the front free endpaper: ''This book oddly enough is responsible from its title for the phrase 'beautiful and dumb.' I doubt if it has any other distinction. For Edward Everett Horton from F. Scott Fitzgerald / Encino 1939.'' In publisher's original green cloth boards with some soiling. Includes a later printing dustjacket from the A.L. Burt edition with minor wear. Very good condition.